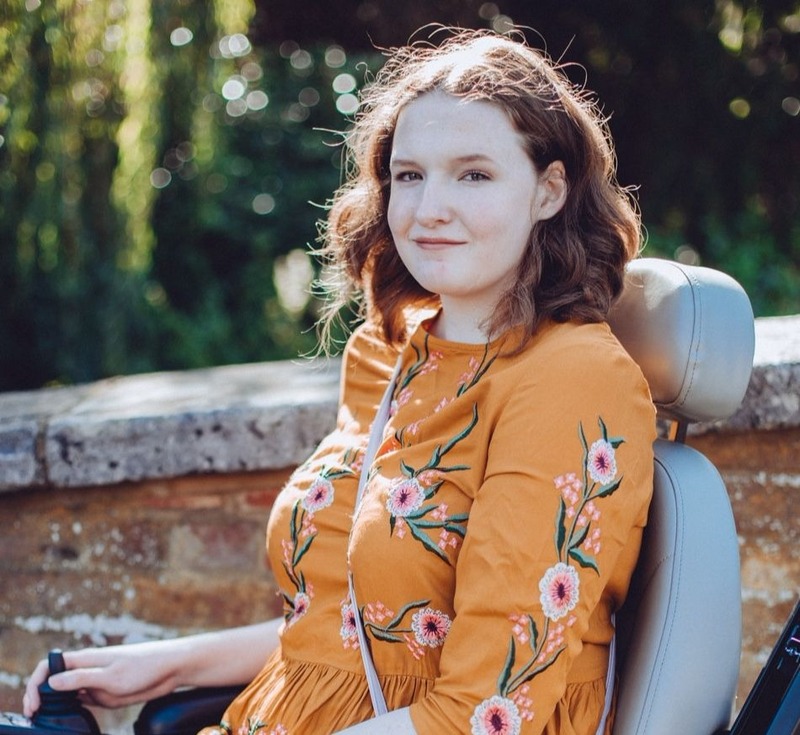 Back in February I tried my first Eye Of Horus product and talked about it in a blog post, since then my interest in the brand has only grown and I love keeping up with their new product releases. One of these new releases is what I'm talking about today, it's the eyeliner I adore and use so often but in a new gorgeous blue shade. It launched this Autumn so it hasn't been around for long, long enough for me to give it a go to see how it compares to my usual favourite from the brand though. 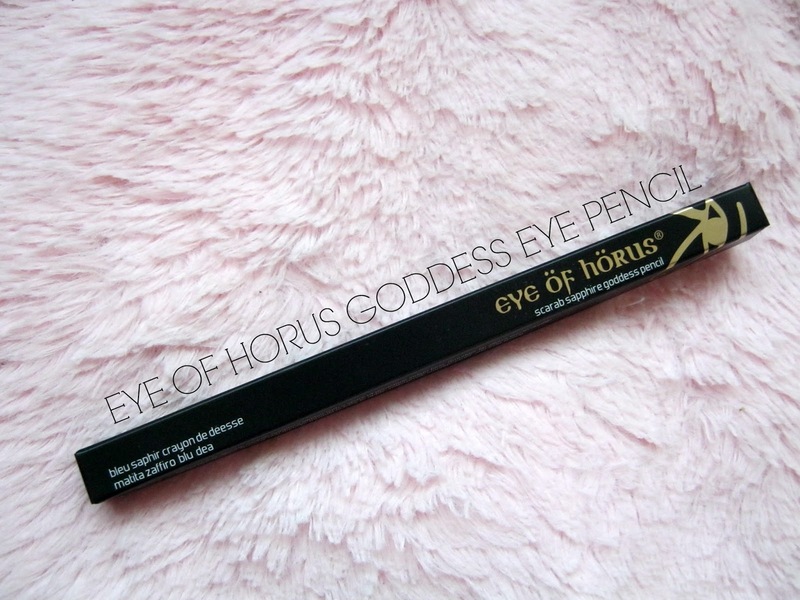 Like my favourite Eye of Horus Goddess Smokey Eye Pencil* this is a dual ended eyeliner. 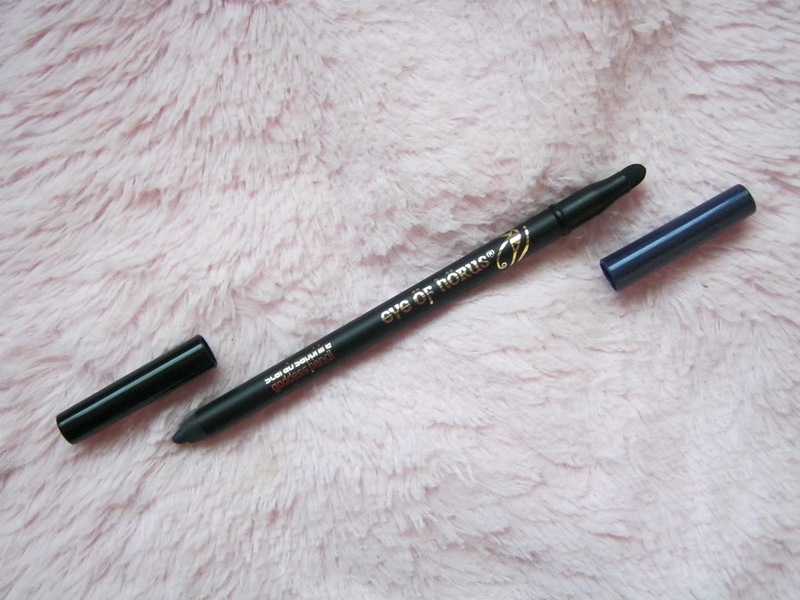 On one end you have the eyeliner itself which is a gorgeous blue with indigo hues and on the other end is a little sponge like applicator perfect for smudging the product to achieve a more smokey look. The formula of the product is similar to the smokey eye pencil, it's creamy so it glides on with ease yet at the same time it feels a bit waxy which helps to keep it in place all day. I always have trouble with eyeliner smudging so I did still find that this smudged a little throughout the day but not as much as other eyeliners usually do on me so it still gets a thumbs up! As you can see by the swatch it's a nicely pigmented eyeliner and even when smudged to create a smokey effect there is still lots of colour there. 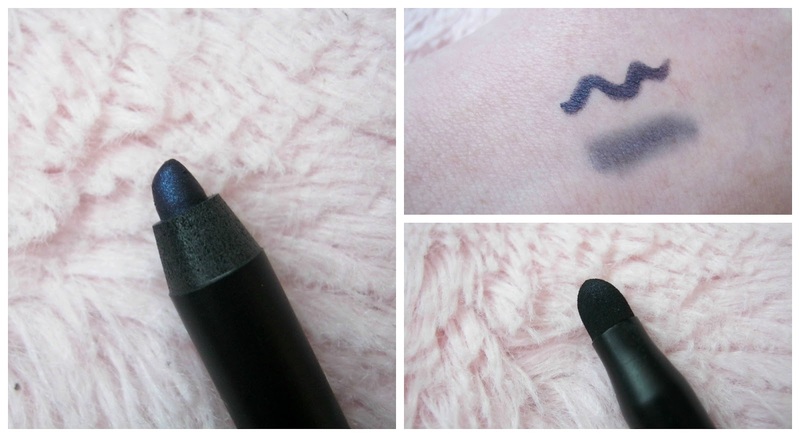 I think it is a really wearable shade of blue as well, it's helped me to step away from my usual black eyeliners. This would be perfect for the current Christmas period and also for New Years Eve if you want something a little more special than a plain black eye pencil. I've been pairing this with simple makeup so it becomes a focus point, a coat or two of mascara and a simple pink lipstick goes with it quite well. 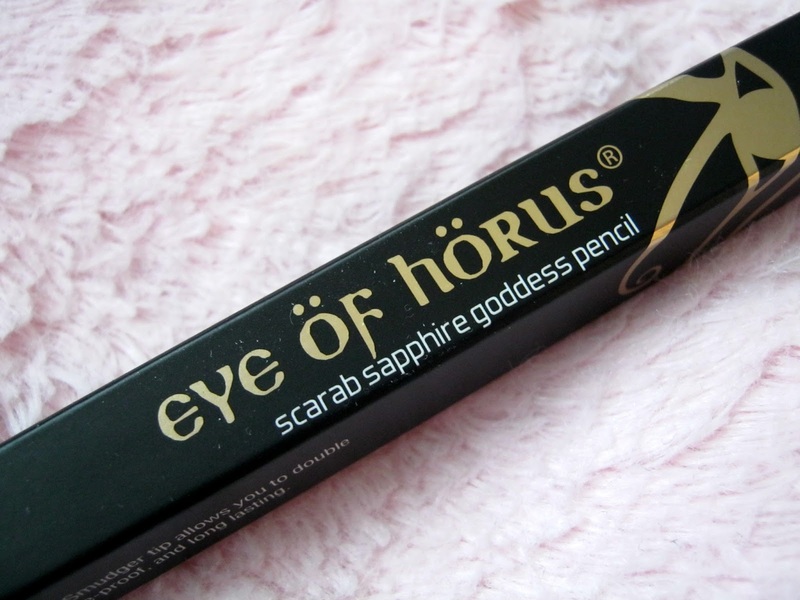 This new eyeliner from Eye Of Horus is only fuelling my love for their products even more, I'd really recommend taking a look at what they have to offer! Almost everyone gets dark circles under their eyes from time to time. Dark circles under eyes usually are temporary and not a medical concern. You may be surprised to learn that fatigue usually isn't the cause of dark circles. Instead, the most common cause is nasal congestion. When your nose is congested, veins that usually drain from your eyes into your nose become widened (dilated) and darker. Another cause of undereye circles is eyelid swelling during sleep. When you lie down, gravity can cause fluid to collect in your lower eyelids. This swelling may create the appearance of shadows below your eyes. In addition, dark circles can result from chronic skin conditions, such as atopic eczema. Dark circles can also run in families. Over-the-counter products may help diminish dark circles under eyes. Look for skin creams that contain vitamin C or K, alpha hydroxy acid and kinetin. Treatment for chronic and severe undereye circles is directed at the underlying cause, if known, and may include bleaching agents and laser therapy.' I recommend you Black eye remedy through this you get instant of knowledge about Home remedies for black eye .